Welcome to 2014! It’s freezing in most of the United States. It’s almost the weekend. You NEED a full Netflix queue! This is one of our favorite “New to Netflix” columns to date with an even 5x5 — 5 new films that you may have missed and 5 old films that you might not have seen yet. Add all ten. Now with previews! Seemingly meek Pinky gets a job at a nursing home and befriends the loquacious Millie. Their unusual friendship turns strangely eerie when they decide to be roommates and begin to change in surprising and unexpected ways. Because Robert Altman. You’ve probably seen the most well-known works of one of the best directors of all time — “Nashville,” “The Player,” “Gosford Park” — but this little gem from 1977 might have slipped under your radar. Moody, atmospheric, strange, and with two of my favorite performances from Shelley Duvall and Sissy Spacek, it’s a fascinatiing film. To be fair, the quality on Netflix is kind of weak and if you’re interested in the movie, you should pick up the GREAT Criterion Blu-ray release but maybe sample here first before committing to that kind of expense. With furthering his career in mind, an insurance clerk lends his apartment to his adulterous higher-ups for their amorous affairs. But his fast track to an executive suite gets derailed when he becomes involved with his boss’s latest conquest. Because it’s one of the best movies ever made. Yep. I said it. 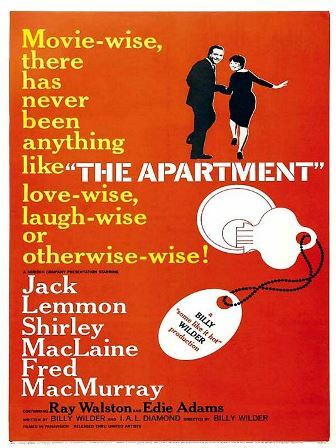 Billy Wilder’s Oscar-winning film is a masterpiece, a delicate balance of traditional romantic comedy with a darker edge that would influence generations to come, particularly Woody Allen and Cameron Crowe. This is one of my favorite movies of all time. Watch it. 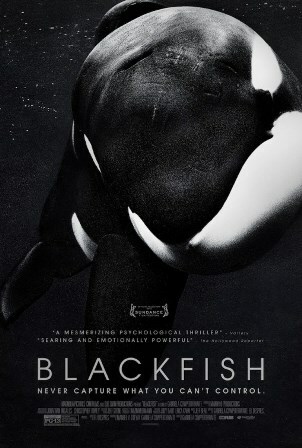 This fascinating documentary examines the life of performing killer whale Tilikum — who has caused the deaths of several people while in captivity — and questions the safety and humaneness of confining these intelligent creatures. Because it’s important. A potential Oscar winner for Best Documentary, this eye-opener pulls back the curtain on the awful torture that is Sea World and similar water parks. And it’s changing minds every time it plays. See it. Share it. Tell your friends. It’s only a matter of time before Sea Worlds are shut down forever and future generations are stunned that they ever existed in the first place. 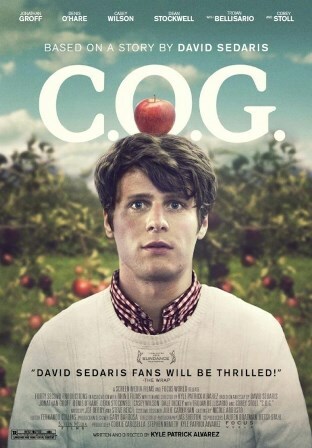 Based on a short story by David Sedaris, this comedy follows the brash young author as he travels to Oregon to work on an apple farm. The journey exposes him to all sorts of culture clashes, but what awaits him at the farm is far worse. Because David Sedaris. The first and only film based on the writing of the beloved essayist is a gentle, interesting comedy that played at Sundance last year and didn’t get nearly a wide-enough release. It’s surely the least-seen feature in this month’s New to Netflix. It’s imperfect but there’s a lot to like here thematically, courtesy of Sedaris’ unique worldview, and the performances from Jonathan Groff, Denis O’Hare, and Corey Stoll deserved a wider audience. Workmates at a small Chicago brewery, Luke and Kate are romantically involved with others but also the best of friends — on and off the clock. Things get complicated, however, when the couples spend a weekend together at a lakeside retreat. Because Swanberg. The Chicago writer/director broke through to another level with his most mainstream effort and FINALLY proved that Olivia Wilde can be an intriguing, talented lead actress (she’s great in “Her” too, by the way, in a small role). 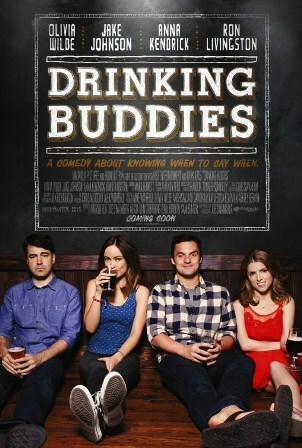 This film, shot mostly at Revolution Brewing Company, is a delightful comedy of relationships and how the line between friend and “more” between two people can get very blurry over time. And yet Swanberg doesn’t fall into typical “When Harry Met Sally” clone traps. He keeps it light, fresh, believable, and very engaging.